The A5 notebook holder is an essential purchase for those who like something a bit more substantial. It has a robust hand feel, but is not too big for everyday use and carry. 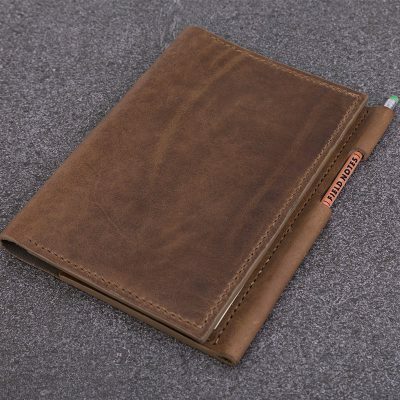 The inside pocket is handy for any additional papers, notes, receipts and the pencil sits in a neat holder. Comes with A5 notebook and Fieldnotes pencil. 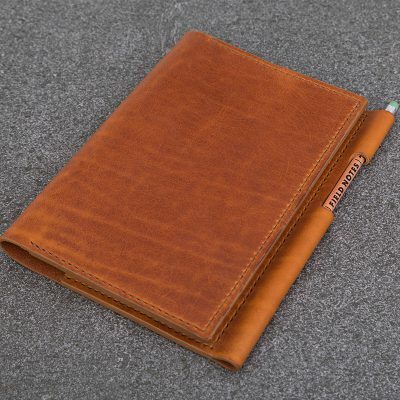 As with all our products, the notebook holder is hand stitched for strength, using traditional waxed linen thread – it will last for years to come. 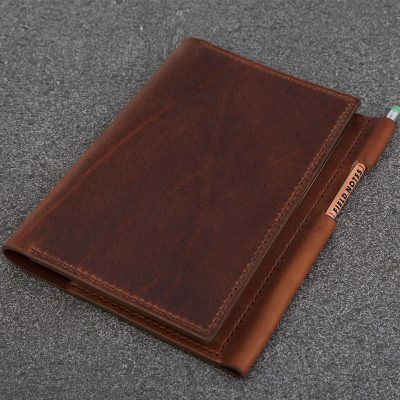 Constructed from high quality, durable vegetable tanned leather which has unique characteristics and markings giving a beautiful worn look. It has a smooth waxy feel and will only improve with age. 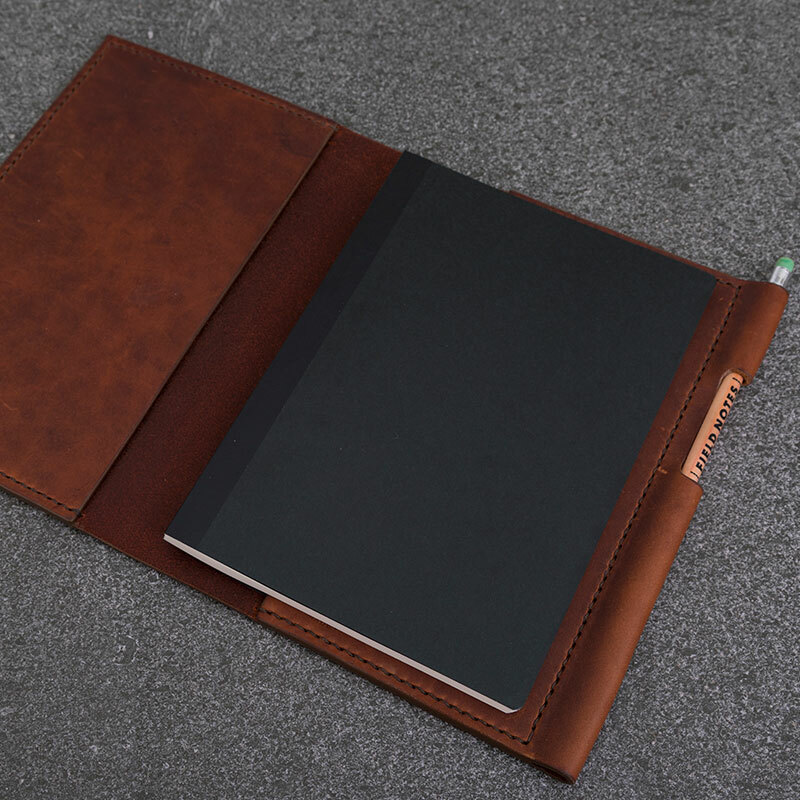 The pull-up shows itself in the spine of the notebook and around the pencil holder. 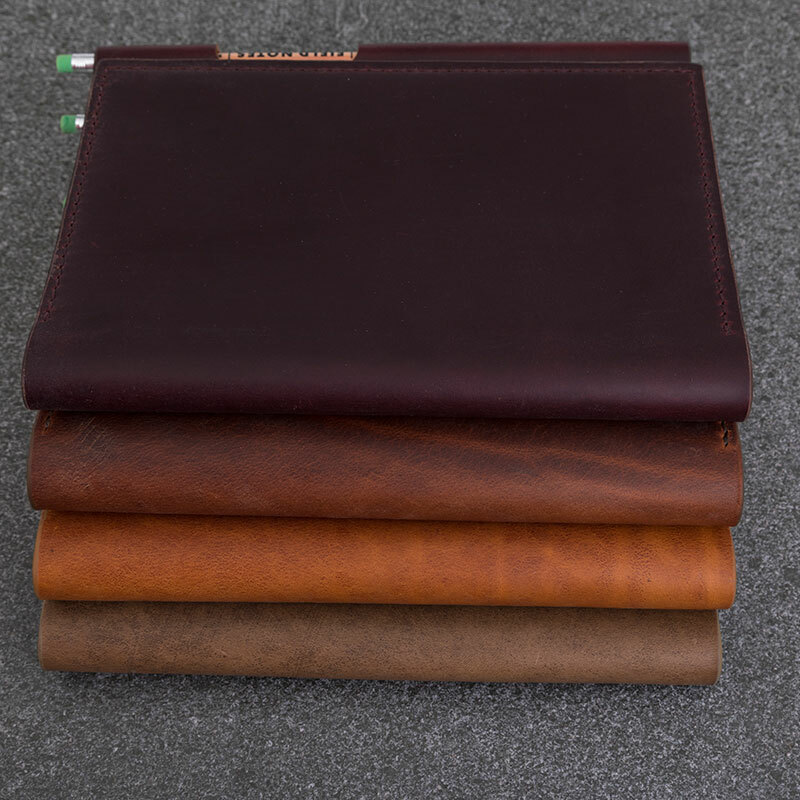 Sourced in the UK, the leather originates from a renowned tannery in Tuscany, which is a member of the Tuscan Leather Consortium. Due to its’ unique characteristics each item is truly unique. If you would like your notebook holder personalised with initials (2 letters) please select the option below.